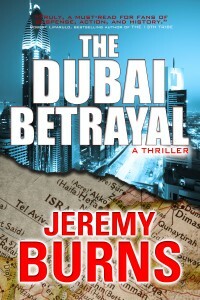 THE DUBAI BETRAYAL is the next book from Jeremy Burns. A spin-off of FROM THE ASHES, THE DUBAI BETRAYAL follows the adventures of former Division agent Wayne Wilkins as he is forced into a breakneck race to prevent the worst terrorist attack in history and the advent of a new world war. THE DUBAI BETRAYAL will launch in English language markets worldwide on May 10, 2016 in trade paperback and e-book formats. Pre-order your copy at one of the below links, or visit your local bookseller to make sure they’ll stock it for you. Watch this space for more info and teasers over the coming months!